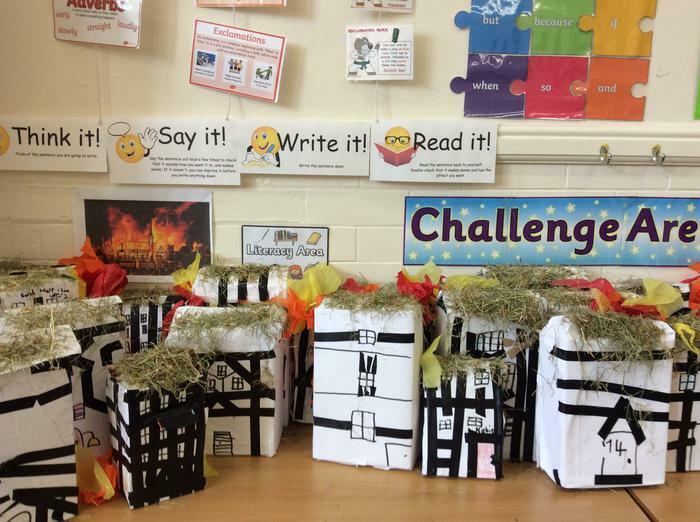 As part of our history topic we have been learning about The Great Fire of London. 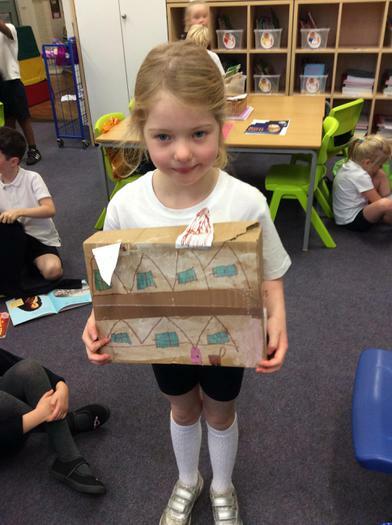 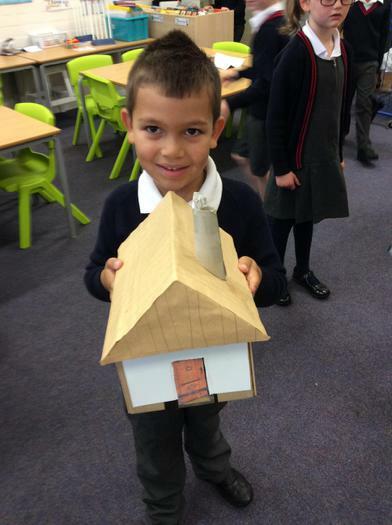 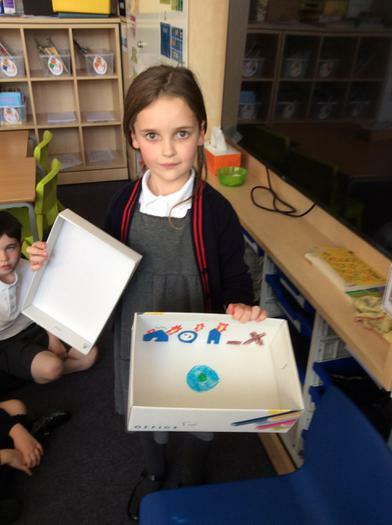 These children made their own houses at home and brought them into school to share with the class. 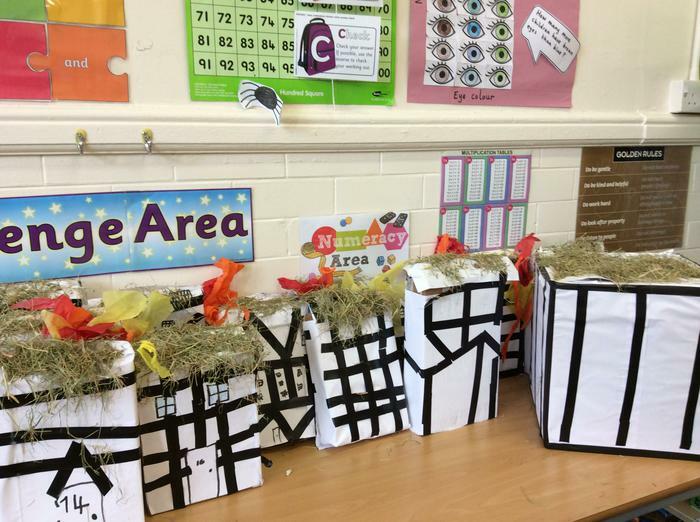 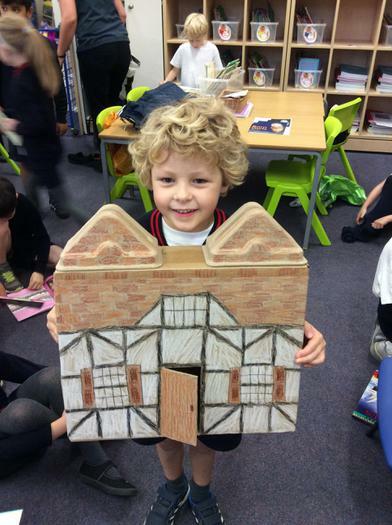 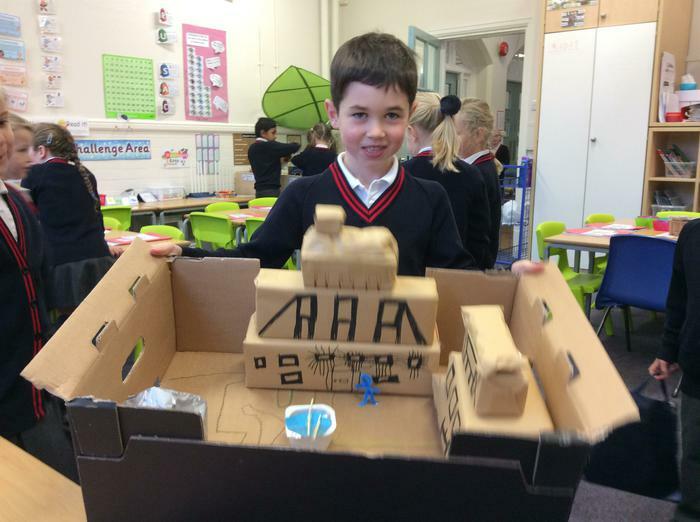 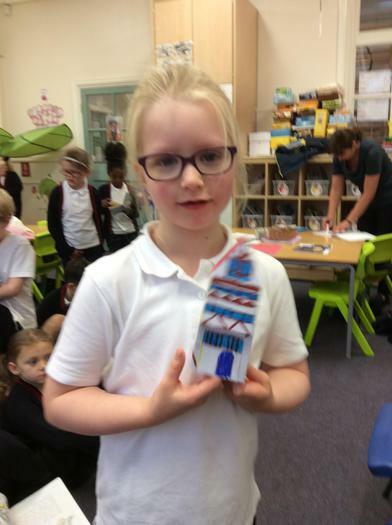 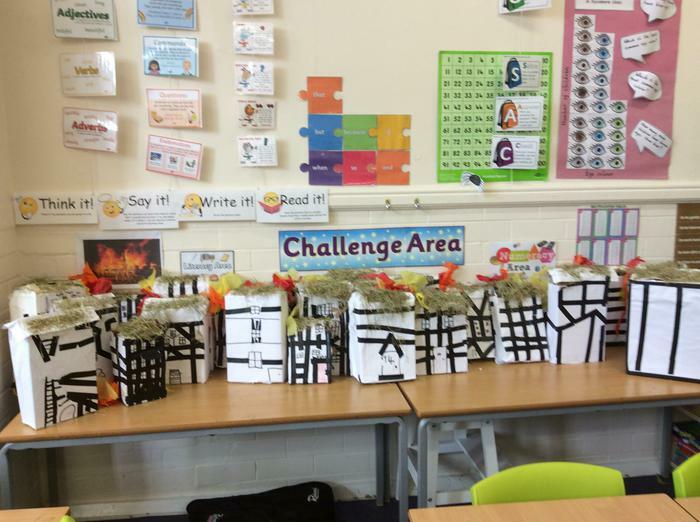 We made these houses in class to end our Great Fire of London topic.